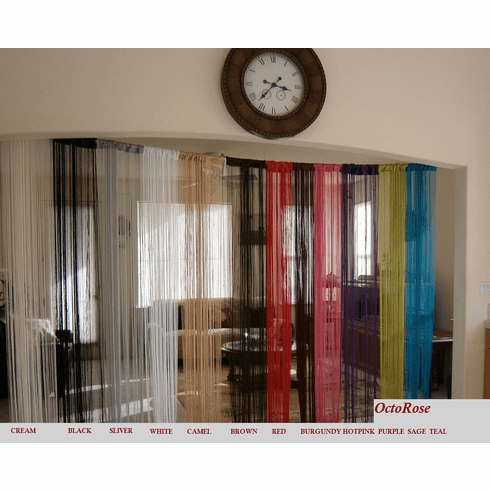 The nice string curtain is idea for your window, wall décor, door or room divider, also good for your project or party event. Easy setup. 4 inches curtain rod pocket on top. Easy fit, can cut to shorter with regular scissor without fray. Color may vary from monitor to monitor. Multiple colors available, please visit our store for other options.